Finding out information about your site is always a good thing. However, what you need to realize is it can be a challenge in finding the right tools that are going to help you in getting your websites information. With that being the case, here is some of the information that you will find useful and want to use for your website to help you in knowing if your website is going to rank for the terms or not. Woorank is one of those tools that can cost money, but they do have a limited set of free options as well. When you use these, it is going to allow you to get quite a bit of information and you will start to learn more about your website and how it is doing in the search engines. Without this, you could be left trying to figure out how your site is doing and this means that the only metric you have would be if you are making money or not. SEO Site Checkup is another tool that you may want to consider using to analyze your website. However, unlike some of that analyze just a little bit of information and give you a bunch of words this company makes it easier by analyzing 45 different metrics and providing you the results that are in an easy to use format for a score. So you will know how you are ranking based off of a score and not having to read through tons of information. 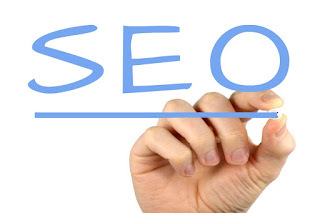 SEO Workers is a tool that has been around for quite a while. However, it is a tool that will give you quite a bit of information that is useful. Not to mention it will help you determine what parts of your SEO work could be seen as weak compared to what you need to have it at for the job at hand. Being able to have a great website is a good thing. However, what you need to realize is if you are not using some tools to help you evaluate your website it can be impossible to know how your site is doing. This is when you should know about three of the must use SEO tools for your website. By knowing about these analyzing tools, it will be easy for you to learn about the rankings that you want to have and know how your site is doing in the search engines.